Imagine a city where traffic lights communicate with autonomous vehicles, smart roads collect rain water, and aged care facilities transmit information about residents to hospitals. Far from being science fiction, such a smart city, Australia’s first, is being built from scratch in Western Sydney, and it is on track to open in 2021, says the AFR. Work on the 280-hectare Sydney Science Park project, located three kilometres north of the planned western Sydney airport, began in August 2018. The first phase of the precinct will include 3,400 homes, a 30,000-square-metre retail centre, 340,000 square metres of commercial space and 100,000 square metres for education. Residents are expected to start moving in by mid-2021, with up to 30,000 expected to call the city home in the next decade. The $5 billion project by Western Sydney‐based property developer Celestino, aims to deliver scientific research and development in the fields of food, energy and health, along the route of the proposed South West Rail Link. “We’re creating an ecosystem that will house some of the nation’s leading scientific institutions and providing educational opportunities for Western Sydney, such as our STEM school, that haven’t been seen before,” Celestino chief executive John Vassallo said. Celestino and its research partner, the University of Technology Sydney (UTS), recently met with transport and infrastructure experts along with technology providers from more than 35 companies to discuss how autonomous vehicle use can be built into the greenfield smart city. Companies participating in the workshop include Bosch, Hyundai and Westfield, a leading provider of autonomous vehicles in Britain. 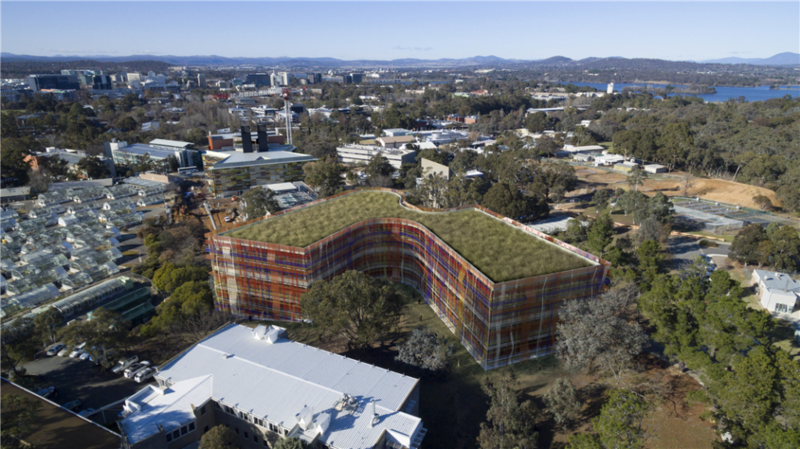 Supported by Transport for NSW Smart Innovation Centre, the think tank is part of an expression of interest process that aims to deliver autonomous mobility solutions for the Science Park development. “It’s creating something very unique in Australia where we are building a new city from nothing,” Duncan Challen, general manager of business development for Sydney Science Park, said. “The vision has always been around anchoring the city around education, research development and technology commercialisation and we want to transform urban development by thinking about infrastructure, data, liveability and telecommunications. “You don’t get many opportunities in Australia or any first-world countries to build a city from a greenfield site,” he said. UTS Engineering and information Technology professor, Don Bone, revealed industry experts are attracted to the “Crown Jewel” project because they could test, implement, and commercialise their technology on an untouched site. Autonomous vehicles with sensors to communicate with traffic lights and to identify pedestrians, cyclists and animals, would initially be isolated from residents in the testing phase, Professor Bone said. “But then they would be slowly integrated into the activities in the park and we would invite people to use the vehicles, not just to get from A to B but to deliver parcels or to use as a meeting space instead of an office,” he added. Developer Celestino is also eager to integrate cutting-edged aged care and healthcare technology into its project. Such technology could include drones that deliver antibiotics to people unable to leave their homes and room sensors that can monitor the movements of old or sick residents who can then be triaged by artificial intelligence and driven to hospital by automated vehicles.